We tend to take for granted how much a windshield protects us from wind, rain and debris — but in addition to making the drive more comfortable the windshield also protects the driver and passengers in some fairly unique ways. The windshield gives added strength to your vehicle and, just like seatbelts and airbags, is an integral part of your vehicle’s safety system. If the damage to your windshield is small enough, a timely windshield repair can prevent it from spreading for much less of the cost of a replacement. The windshield repair process is meant to reduce visible damage caused when a stone or small rock impacts your windshield. While windshield repairs will not completely eliminate the damage, they are able to reduce the visibility of the rock-chip, often leaving it invisible to the naked eye. In addition to virtually erasing the chip, windshield repairs, when successful, will also prevent the damage from spreading. The windshield repair process starts by cleaning the damaged area to remove any sediment that can settle into the small cracks around the damaged area. Once the area is cleaned of debris, a special resin is injected into the rock-chip. 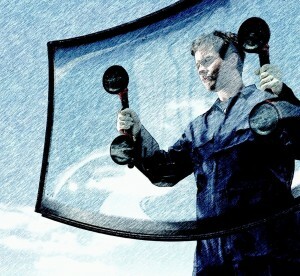 This resin matches your windshield’s strength, tint and light refraction so it helps to make the repair less noticeable. Then the resin is cured by exposing it to UV light from either the sun, or from a specialty UV tool. Our technicians adhere to strict industry standards when repairing or replacing your auto glass to ensure the safety of you and your passengers. Also, we will come anywhere in the greater New Orleans area to fix a chip or crack in your windshield, which means we can save you both time and money! If you need any auto glass repaired or replaced, contact us today for a free personalized quote.We have customer service representatives available to speak with you. Call us today at (504) 446-2390.